OfficeRock.com sources office supplies from some of the best manufacturers across the world - we're direct resellers and hence can afford to sell our products at wholesale prices. Call us to discuss your requirements, or fill in the contact form to request a meeting. One of our dedicated staff members will be at your workplace to discuss requirements. 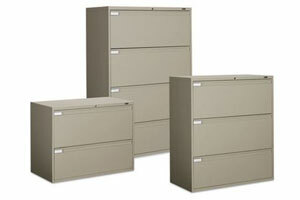 Order today and get your filing cabinet delivered within five working days anywhere in the UAE.